https://www.abc.net.au: A NSW university student who spent four weeks in solitary confinement after being falsely accused of terror offences has described the Police investigation into his case as “embarrassing and biased”. Mohamed Kamer Nizamdeen, 25, was arrested in August after being accused of writing in a notebook about plans to kill former Prime Minister Malcolm Turnbull and his then-Deputy Julie Bishop. Nizamdeen spent four weeks in solitary confinement in a supermax prison after being charged with the offences. But Police last month dropped the charges because a handwriting expert could not prove the 25-year-old had actually written the plans in the notebook. Speaking at a press conference in his hometown of Colombo for the first time since he was arrested and later released from prison, Nizamdeen condemned the Australian Federal Police (AFP) for its handling of the investigation. “The method in which the AFP conducted themselves was completely immature, unprofessional, irresponsible, embarrassing, and biased to say the least,” he said. The matter also involved the NSW Joint Counter Terrorism Team (JCTT). Police had alleged Nizamdeen possessed a blueprint to target several symbolic Sydney locations, after officers from the JCTT arrested him at Kensington, in Sydney’s south-east in August. Nizamdeen said he continually told investigators that the handwriting in the notebook was not his. Detectives said blueprints for the attacks were found in a notebook in a desk that Nizamdeen used at his workplace at the University of NSW. Nizamdeen’s arrest received widespread media coverage including a front page on The Daily Telegraph with the headline ‘Posterboy for terrorism’. The piece included a photo of the student wearing a Middle Eastern-style keffiyeh and dark sunglasses. The sole piece of evidence against Nizamdeen — the notebook — was handed to Police by a colleague. “It was discovered in an office space where I hadn’t worked for over a month,” he said. Nizamdeen was completing a PhD and working as a business analyst at the UNSW IT department. He said his detainment had taken a toll on his family. He was unable to speak to them for a month after his arrest. Police refused to apologise to Nizamdeen after dropping the charge. They said the investigation was ongoing. Speaking at a press conference last month to reveal they had dropped the charges, the AFP and counter-terrorism officers said the very nature of terrorism threats meant they had to act first. “We can never be complacent because the terrorist threat in Australia and NSW is very, very real,” NSW Police counter-terrorism Assistant Commissioner Michael Willing said at the time. Police said the investigation had shifted to focus on the possibility that the content of the notebook had been created by other people. Nizamdeen’s uncle Faiszer Musthapha is the Sri Lankan Sports and Local Government Minister. Last month he told the ABC he believed his nephew was innocent. 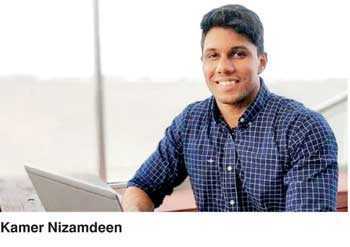 Nizamdeen’s previous bail hearing heard other material belonging to the student such as his computer, mobile phone and other documents did not show any extremist ideology. Nizamdeen could sue the police for compensation over the wrongful detainment. The AFP referred the ABC’s request for comment to its statement issued at the time of the press conference last month. NSW Police declined to comment.